Sorting and identifying freshwater invertebrates. No experience required – ‘on-the-job’ training will be provided, but some knowledge on aquatic macroinvertebrates and use of identification keys are desirable. Flexible but must be able to commit on most days. Payment will be made based on an hourly rate commensurate with qualifications. About Inland Waters Cluster, EMID at TMSI, NUS. Ecological Monitoring, Informatics and Dynamics (EMID) research revolves around a cross-disciplinary, quantitative approach with a strong focus on operations and management, towards the overarching goal of sustainable resource management. The Inland Waters Cluster applies freshwater research through the development of assessment tools and environmetrics for ecological appraisal and prediction. The Inland Waters laboratory is actively seeking suitable candidates for the position of laboratory assistant to support various ongoing projects. picking out macroinvertebrates and separate them from detritus and sediment. Cataloguing and preservation of specimens in ethanol. 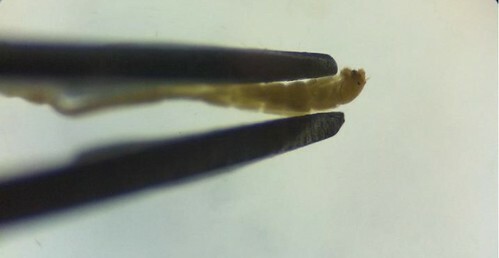 Identification of specimens to Order and/or Family level using microscopes and dichotomous identification keys. Experience and knowledge on aquatic macroinvertebrates and use of identification keys are desirable but ‘on-the-job’ training will be provided. 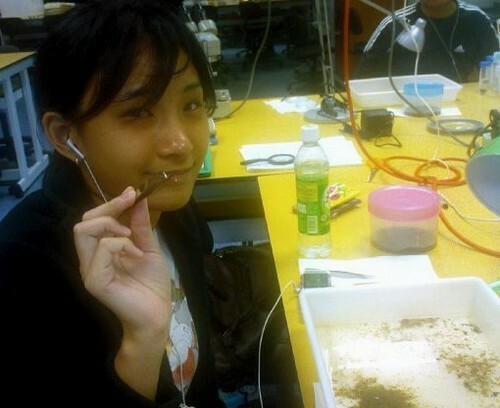 A conscientious attitude to laboratory work and keen interest in biology is essential. Payment will be made based on an hourly rate and shall commensurate with qualifications and experience. Job Opportunities in freshwater ecology with the Ecological Monitoring, Dynamics and Informatics (EMID) group, Tropical Marine Science Institute (TMSI), National University of Singapore. EMID research revolves around a cross-disciplinary, quantitative approach with a strong focus on operations and management, towards the overarching goal of sustainable resource management. Much of research undertaken is supported through contracts with local governmental agencies to monitor and assess the ecological status of Singapore’s aquatic systems, which provides a data- and opportunity rich environment for strategic and fundamental research. The Inland Waters Cluster applies freshwater research through the development of assessment tools and environmetrics for ecological appraisal and prediction. Protocol, design and operation of a National Biomonitoring Programme in Singapore. Quantified characterisation of habitats and biotic communities of freshwater systems. Translation of biological response to environmental conditions to ecological and water quality indicators, thresholds and guidelines. Ecological evaluation of environmental change following habitat creation or restoration. Prediction of effects of changes in land-use and climate through eco-hydrologic modelling and environmental impact assessment. We are currently seeking to fill a number of research positions to meet emerging challenges and opportunities in this area of rapid growth. Successful applicants will increase the capacity of core expertise in freshwater biomonitoring in Singapore at TMSI, NUS developed through targeted programmes over the last five years. Experience in freshwater research in South East Asia would be preferable. However, applicants with relevant skills in quantitative ecology and/or freshwater research elsewhere will be considered. We are recruiting Research Assistants and Research Associates to join our research teams. Depending on experience, candidates will have opportunities to design and implement experiments to address research questions within the scope of the Inland Waters cluster. The minimum qualification for research assistants is an undergraduate degree in a relevant subject area. For the Research Associate positions, applicants should have, at minimum, a MSc in a relevant subject area with two years relevant post-qualification experience. Experience of ecological fieldwork and parataxonomy. Experience in freshwater ecology is preferred but training in field methods and identification of taxa will be provided. Self-motivated and able to work independently as well as a with other team members. A valid Singapore Class 3 driving license (or equivalent for international applicants willing to obtain a local license) is highly desirable. Salary will commensurate with qualifications and experience. Unless otherwise specified, appointment is renewable annually subject to performance. “Amphibians are the most threatened with extinction of all vertebrate groups and many populations are declining around the world. Climate change has been implicated in their disappearance and the effects of climate change include increased temperature and rainfall variability. These changes are particularly detrimental to amphibians because of their bi-phasic life history and physiology. Tropical amphibians are especially vulnerable as they are close to their physiological thermal limits and small temperature increases can exceed their thermal tolerance. 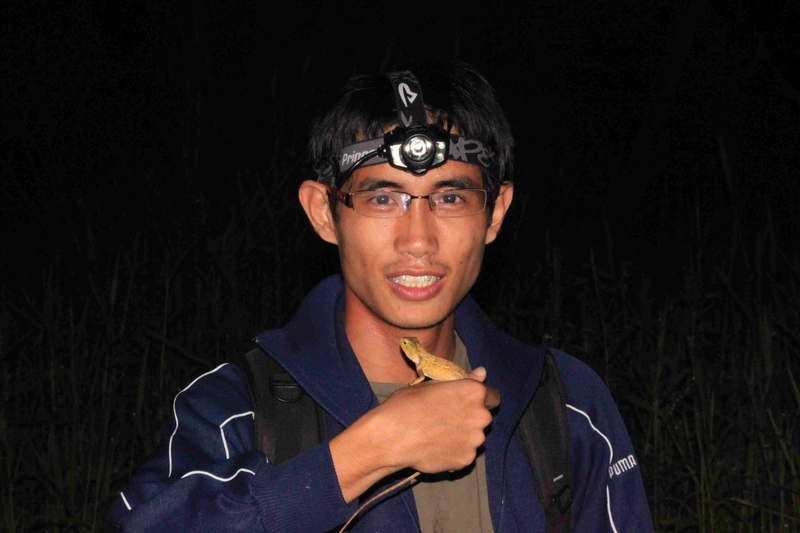 In my PhD, I assess which amphibian species in Singapore are most vulnerable to climate change; determine whether amphibian declines are also occurring in Singapore; investigate warming vulnerability between tropical amphibian communities compared to subtropical or temperate counterparts; ascertain effects of elevated temperature and interaction with pH. 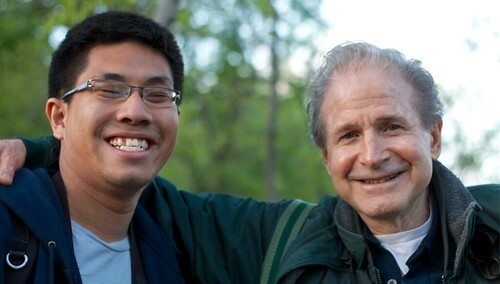 David Tan, a 3rd year undergrad on exchange at Yale University was finally birding at Central Park (New York) in the evening, after a self-imposed ban to complete his assignments. Sleep deprived, he ran into this group of birders camped out around a particularly productive spot where several migrating warbler species were hanging out. During the ensuing conversation, David mentioned he hailed from Singapore. One amongst the group mentioned that he knew several people from the Malaysian Nature Society – this didn’t ring any bells initially, until he introduced himself by his first name. Then it all clicked, David says, because John Ascher, soon to be at the department in Singapore, had mentioned to David several months ago that Ben King was in the area and based at the AMNH. An excited David announced this in all caps on Facebook page and his Facebook page was peppered with congratulatory (and facetious) posts. Ben’s book (Ben King, Martin Woodcock & Dickinson, 1975. 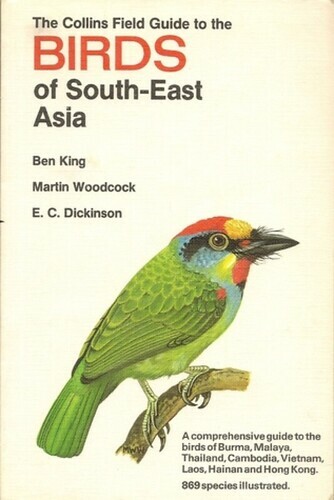 The Collin’s Field Guide to Birds of South East Asia. 480p.) was a bible for many naturalists starting out with birds in the 1980’s and 1990’s. I asked David for the photo he thankfully took – and I am sure it will bring warm memories to many a biologist in this corner of the globe. David Tan and Ben King chatted about the work which still needs to be done for the Southeast Asian birds, especially with little brown birds like flycatchers and babblers. This work is closely related to Frank Rheindt’s interests and to a lesser extent to David’s thesis work to come. Buried in marking, I was really pleased to hear this news. I have relied on birders for over three decades for the finer points. Ben King’s book was amongst the first bird book I referred to, and David is the latest of many birders I have consulted – before leaving for his stint abroad, he produced The Birds of NUS, a resource for undergrads. A chance meeting with Ben King in Central Park? Well, you know what they say about birds of a feather. 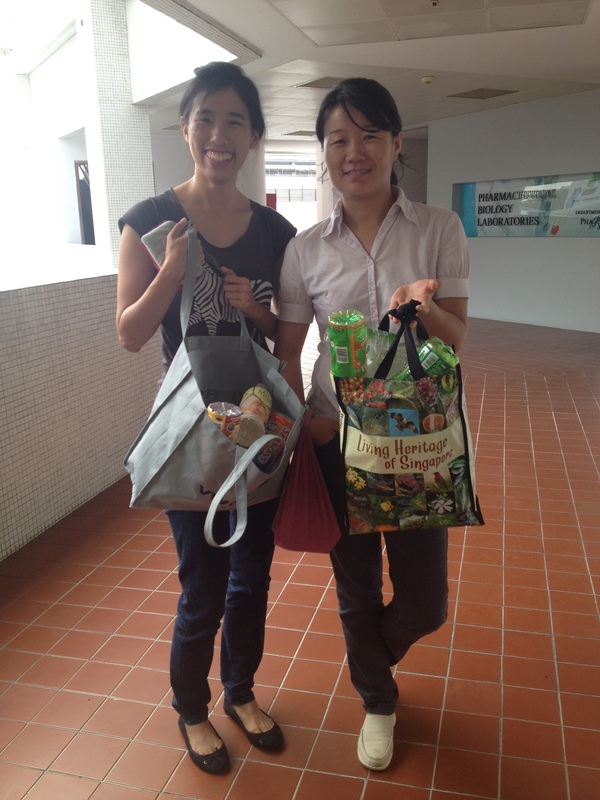 Without a recycling bin in the department and office, it’s not convenient to recycle. It’s tempting to simply throw away a recyclable item, instead of doing the good deed. Thankfully, when I joined the department last July, my environmentally-conscious office mates and fellow Full-Time Teaching Assistants (FTTAs) already had a system worked out for recycling. The FTTAs are green tea and milk tea junkies, and often, a bottle purchased from the canteen during lunch helps us through a tiring afternoon! A quick rinse is all the bottles need and they are left to dry at the sink. The bottles will pile up in about three weeks, and are then packed away in reusable bags and the bottles are dropped off at the recycling bins in the Science Canteen during lunch. Small and simple steps make for painless habits! Do you have a recycling strategy? to the recycling bins. Photos by Weiting.